As a trainer, Daan van Beek likes to educate in a practical way based on a firm theoretical background. He teaches the two-day Business Intelligence training course and he is involved in the masterclass Business Intelligence in Singapore, India, and New York. He gives masterclasses BI all over the world, from the United States to Africa, from Europe to Asia. He is also the trainer for the 3-day Business Intelligence course (Dutch) and the Master of Data Science course. Daan started as a lecturer at the University of Applied Science in Utrecht in 2007. Right at the same time, he was installed as trainer for the 3-day masterclass Business Analytics in the Netherlands. In 2010 en 2013 he was asked to provide a 2-day masterclass Analytics in Singapore for BI managers. He enjoyed this international experience very much and from then many cities followed: New York, Pretoria, New Delhi, Madrid, Copenhagen, Mumbai, Bangalore, et cetera. Daan is now also trainer for the IT Executive master program of the Tilburg University (TIAS). 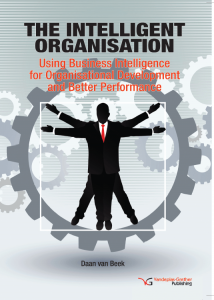 What are they biggest success factors of Business Intelligence projects? How to find genuine key performance indicators in an organization? How to deal with politics in organizations when it comes to an implementation of BI? Data Visualization techniques and how to design excellent dashboards. The psychology behind proper decision making (‘How to make better decisions’). The selection of Business Intelligence tools (reporting, dashboards, big data). All the requirements to successfully use Data Science & Artificial Intelligence. See also the webinar “BI’s right to exist rests with the Business”. Interested in an in-company training or collaboration? If you want to contract Daan as a trainer, please contact us. We love to help you getting started with daan van beek as a trainer.